I have faint acne scars which are very easy to hide but still the fact remains that they have still rented my face. I usually use BB cream to hide them but it's better to get rid of them. 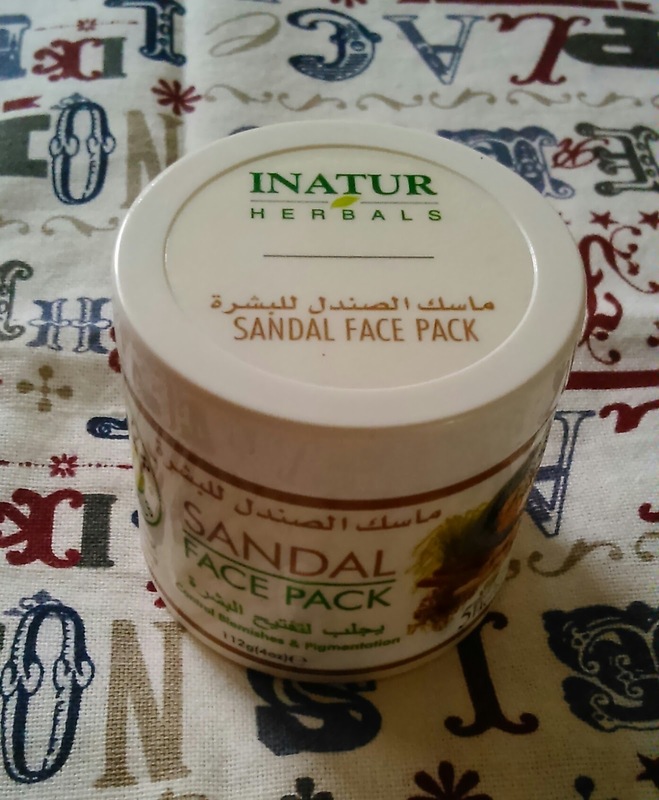 So let's see the review of the Inatur sandal facepack. 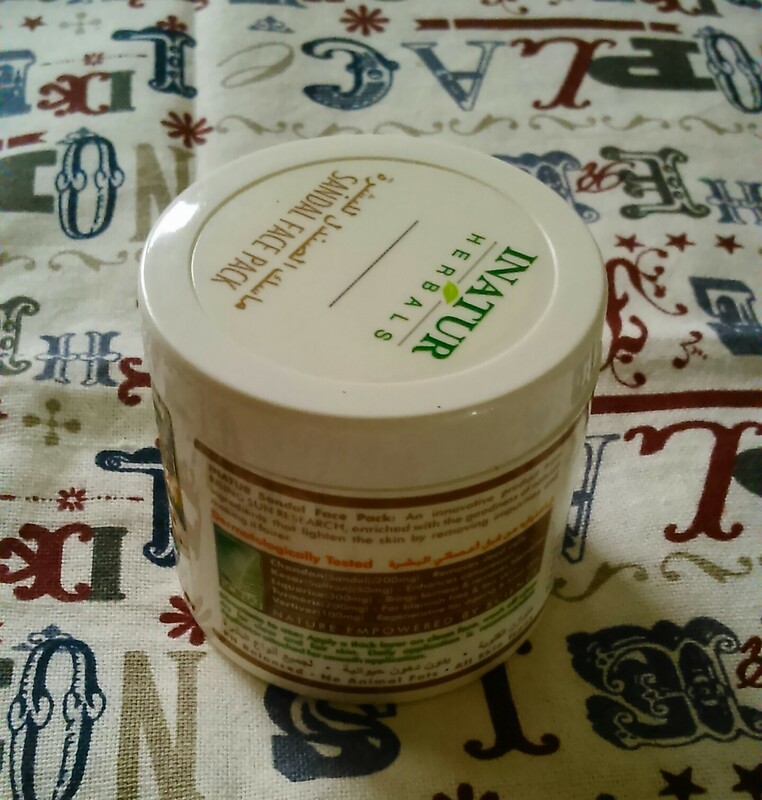 The Inatur sandalwood facepack comes with the goodness of saffron and sandalwood. 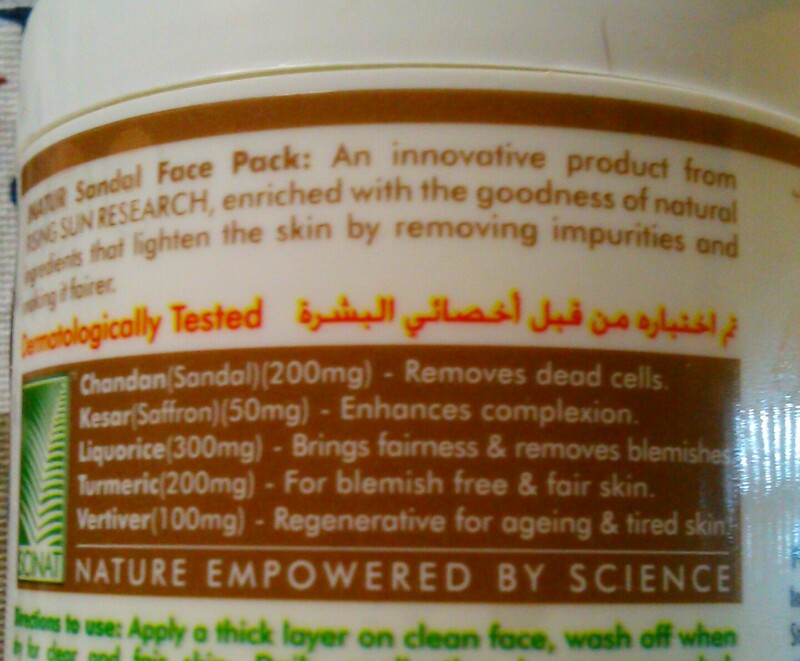 Saffron enhances complexion whereas sandal removes dead cells. The facepack also contains Liquorice, turmeric and Vertiver which bring fairness, help in removing blemishes and prevents aging. The facepack is quite affordable also. The product is enriched with goodness of ingredients to lighten the skin by removing impurities and make it fairer. Clean the face and apply a thick layer. Wash off after it dries up. Recommendation of daily use. The product comes in a plastic tub packaging. The product comes with an applicator but I haven't received it with the product. 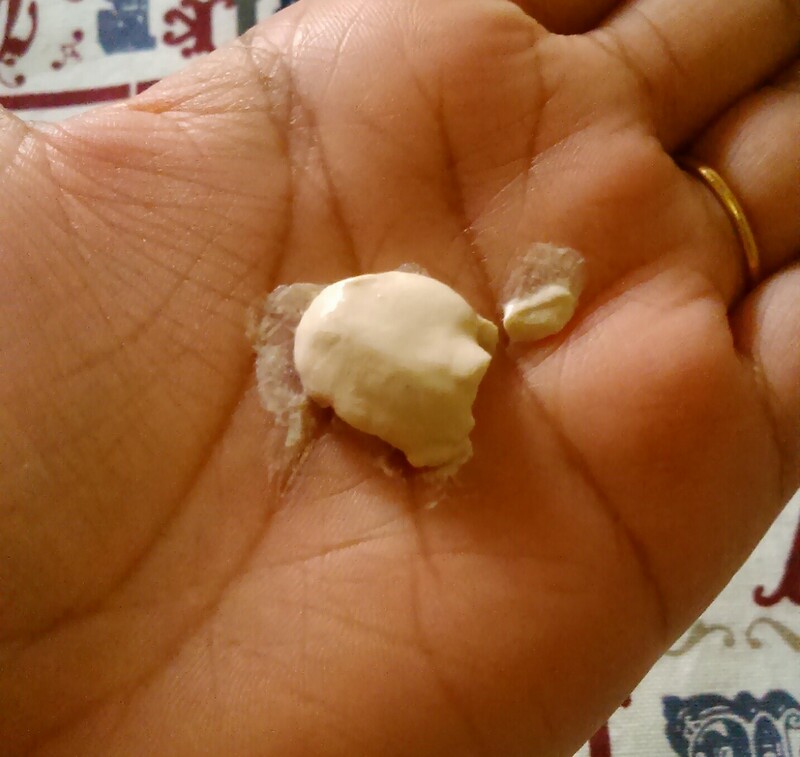 The texture of the facepack is very smooth and helps in even application of the facepack. The fragrance of the facepack is pleasant sandalwood fragrance which is not at all strong and fades away after washing the facepack. I applied the facepack for about 20 minutes. The facepack dries up quickly after the application and gives a little tingling sensation in the beginning. After sometome it gives a cooling effect to the skin. After drying up, I washed the facepack with cold water. It gets washed off easily. After washing off, the skin feels fresh and gives a subtle glow to the face. The effects of the facepack are shown with just one use. 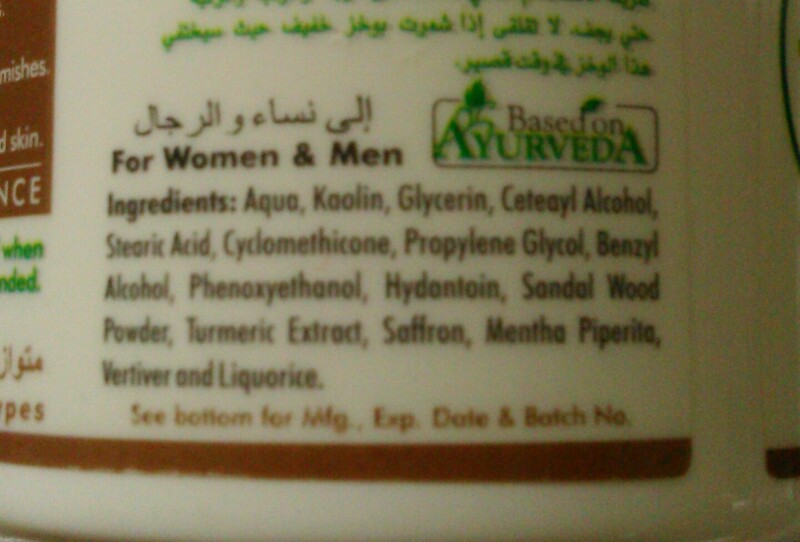 I haven't applied it daily, though I have been applying it for every alternate day for 10 days (5 uses). The skin feels a little dry and dry skinned beauties might need moisturization. The skin even feels stretchy for some time. But it has shown considerable effect in lightening my acne scars, though it hasn't shown any effects on my pigmentation patches. Dries up quickly so you don't have to wait for it to dry up. Lightens acne scars after regular and back to back use. Availability- Easy availability on major shopping portals. Price and Shelf life - 250 INR with a shelf life of 2 years. It is a great facepack which lightens the acne scars and moreover it has saffron, turmeric, sandalwood which are all good for the skin. Its even texture makes it easy to apply and gets washed off easily. Overall a product worth the price and investment. Repurchase - Yes because it has lightened my acne scars. Recommendation - Highly recommended if you have acne scars, pigmentation or blemishes. It shows effect from first use itself. Only dry skinned beauties might feel the need to moisturize immediately after washing this facepack.